Unlike previous trends in nutrition, this program, known as the New Nordic Diet, is equally grounded in scientific facts and cultural heritage, it is perfectly adapted to the conditions of modern life, with a focus on all the things we know is the best – organic, local and sustainable food. So, what diet is most famous in the world? Scandinavian of course, and therefore much interest has arisen in this type of diet. Nordic diet is a hit in every sense, mostly because of the standard of the population living there, and because of their awareness of ecology, a healthy environment and nature. Nordic diet will give you the opportunity to be healthy, removing excess weight, wherever you are. How Nordic diet came to be? Six years ago, the University of Copenhagen has hired leading nutritionists, chefs and economists to devise a diet that will solve the increasingly common problem of obesity, chronic diseases and the destruction of ecosystems due to modern livestock and crops. The ambitious plan is also required that this healthy food is tasty enough to stimulate the local population to return to the old tradition of fishing and livestock on farms. The result was the Nordic diet, a diet that stresses the importance of consuming whole foods and avoiding harmful carbohydrates, which means that we only buy food from trusted food manufacturers. This would include in particular: organically grown food in abundance, freshly caught fish from unpolluted waters, whole grains such as barley, rye and oats, legumes, plants from the wild, such as mushrooms and berries, venison from the group of herbivores, such as deer, canola oil - not olive - because it contains a better ratio of omega-3 and omega-6 fats. If you remove processed foods from the diet, the fat will rapidly melt. 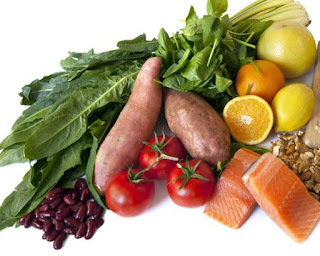 Results of numerous studies have shown that the Nordic diet is primarily an ideal combination of healthy fats, lean protein and complex carbohydrates, and that it provides the nutrients necessary for the reduction of body weight, not just empty calories that add the number of kilograms. How many kilograms does Nordic diet remove? In a Danish study in 2014 respondents who implemented this diet lost 5 kilograms, without adding up the calories. Some of those kilograms went off the stomach, due to the fact that the Nordic diet consists largely of foods that burn fat (berries rich in antioxidants, whole grains with a high content of fiber and vegetables that eliminates unpleasant bloating of the abdomen). This type of diet has multiple benefits. In the latest research blood biomarkers are used, it was observed that the Nordic diet and nutrition significantly lowers blood pressure and levels of bad (LDL) cholesterol and may be much better prevention of heart disease than other types of food. Every few years, the public appears to hit a new diet for losing weight, which arouses our interest in distant places where extremely slim, healthy people live and they have an extremely long life span, they never heard of cellulite and fat on the stomach. Scientists have documented evidence that confirms how people from these parts of the world are healthier and happier, which only reinforces our envy toward them, and also the desire to adopt their diet and achieve our dream of thinness. Nordic diet was designed to help you get a healthier food wherever you live. Unlike other weight loss programs, which require a radical change of diet and discharge of certain food groups Nordic diet is just a reminder that healthy foods need to be your priority. If some Scandinavian food is inaccessible, there is a solution to replace them. Tiny, acid lingonberries grow in many areas of Northern Europe, but are difficult to find in other parts of the world. Cranberries are completely equal replacement in every sense. Venison is on readily available although it is very healthy because it contains no cholesterol and has high energy value, due to the natural diet of these animals. However, beef and lamb are freely moving and eat food without chemical additives, so they are equally good option in the diet, which Nordic diet recommends. Herring, which is a favorite species of fish to people from Scandinavia, it is generally richer in omega-3 fats and contains less toxins than larger fish, such as salmon and tuna. Look in stores for herring (in cans or glass jars), only in saline solution, and eat it often. If you only have available herring in oil, drain this oil and put the fish on a kitchen towel to absorb the rest of oil. This kind of Scandinavian bread is moist, firm in texture, delicious and contains more dietary fiber and less added sugar than other bakery products. Scandinavian bread you can buy in stores of organic health food stores and well-stocked supermarkets, as his replacement you can eat homemade bread with 100 percent grain or with various seeds (sunflower, flax seeds, pumpkin seeds ...). Dill is domestic, widespread plant, which grows in almost all areas of Scandinavia. For the highest level of usability it is the best to use it fresh. If you are not a fan of the taste, which is quite strong due to the high content of aromatic essential oils in the diet, you can use tarragon or parsley instead. In many recipes recommended by the Nordic diet fresh needles of different sawmills are recommended. If you find this idea not good or you do not like the smell of pine in the dish, you can use dried rosemary or thyme, which also provide food with that "forest" charm. Nordic chefs love to add cumin and fennel, because of the anise taste. Buy these spices in specialized health food stores, and take care of their shelf life. Olive oil is not the only healthy oil on the planet. Canola oil is also rich in fatty acids (omega-3) that are healthy for the heart, but also better withstand high temperatures (retains more useful substances) than olive oil. Floral-scented elder liqueur is a special note to the Nordic kitchen. If you cannot get this drink, quite worthy replacement is elder syrup, which is still true in many homes (who else likes this delicious, refreshing juice?). Nutmeg, cloves, cinnamon sticks and cardamom in a pod - they give dishes the aroma and wholeheartedly endorse the Nordic diet. For milling the aforementioned spices at home use a greater, coffee grinder or mortar. Here are some ideas and recipes to help you adopt this type of diet. Peel and chop into cubes about 500 grams of potatoes. Put it in a deeper pan and pour the cold water, and then cook it for about five minutes. Drain the potatoes and remove it from the side. Cook one chopped leeks waist (just bright green and white part) in a small pan on a spoon of canola oil (up to two minutes). Stir in chopped three carrots and about 200 grams of chopped sweet potatoes and season with half a teaspoon of sea (or kosher) salt and ground black pepper. Cook while occasionally stirring, until the vegetables begin to soften, for about five minutes. Add about a liter of vegetable soup and reduce the heat. Continue to cook vegetables until tender, about five minutes. Add half the potatoes that you left on the side, and from the second half make puree with the addition of the necessary quantity of vegetable soup. Stir this into the main course. Reduce the heat and add a little milk with 1 percent of fat, and mix well. Finally, add about 500 grams of hake without skin, chopped into small pieces. Cook for about five minutes. Before serving dish sprinkle with fresh dill. Nutrition information per serving: 206 calories, 18 grams of protein, 26 grams of carbohydrates, 4 grams of valuable plant fiber, 6 grams of sugar, 3 grams of fat, 0.5 grams of saturated fat, 384 mg of salt. What do you think of the new Nordic diet, after this extraordinary dishes we believe that you will continue to practice this kind of food, provided that your finance permits it. Another gem that is brought by Scandinavian cuisine and recommended by Nordic diet is skagen toast (Toast Skagen). The dish is easy to prepare in 25 minutes and this amount is intended for 10 people. In the deeper bowl mix three tablespoons of fat free yogurt or sour milk, three tablespoons of finely chopped fresh spices, two tablespoons of mayonnaise with a reduced percentage of fat, a tablespoon of lemon juice, freshly grated rind of half a lemon and a quarter teaspoon of sea or celery salt and ground black pepper. Add 36-45 of already cooked prawns (shrimp) without tails (about 400 grams) and leave this mixture aside. Melt in a large saucepan one tablespoon of butter and canola oil on medium heat. In this fat fry five slices of bread / rye or oats, from which you removed the peel and cut them diagonally (10 triangles), until they get a golden color. Transfer the pieces of baked toast to a plate. Put on each piece of the same amount of mass that you have previously prepared. Sprinkle with fennel and serve immediately. Nutrition information per piece of bread: 123 calories, 9 grams of protein, 9 grams of carbohydrates, 1 gram of fiber, 1 gram of sugar, 5.5 grams of fat, 1.5 grams of saturated fat, 489 mg of salt. To prepare this dish you will need ten minutes and for cooking you need about an hour. The amount intended is for ten persons. Heat two tablespoons of oil from canola in a deeper pan on medium heat. Add head of chopped onion and sauté until tender, for about five minutes. Add a teaspoon of cumin and two tablespoons of kosher salt and cook until it develops a flavor, for about a minute. Now add the whole head of grated red cabbage, 2.5 dl of apple cider vinegar and 2.5 dl of water. Wait until liquid almost boils, then reduce the heat and cover the pan. Cook red cabbage until tender, for about 25 minutes, stirring occasionally. Add two grated apples and continue to cook (with partially covered bowl) for another 20 minutes, stirring occasionally. Nutrition information per serving: 86 calories, 1 gram of protein, 16 grams of carbohydrates, 3 grams of fiber, 7 grams of sugar, 3 grams fat, 0 grams of saturated fat, 407 mg of salt. We hope that you will like the recommended Nordic diet like and that you will try some of the recipes.